His songs are funny without being cruel. Proud but not prejudiced. Honest but gentle. They are what Canada wishes it could be (they assign Stompin' Tom songs at school). But, above all, they are great travel writing from a great traveller. I have often (OK, twice) been asked who my favourite travel writers are. I know I am supposed to answer with a soliloquy on the comparative merits of Bruce Chatwin and Bill Bryson, perhaps throwing in something about how, of course darling, the genre has not been the same since Homer. The Homer, not that yellow fellow on TV. on a Sudbury Saturday night. It sums up a weekend in a hard working industrial town better than P. J. O'Rourke ever could. It is fun, spare, pointed, loving, has a tasteful touch of alliteration and, most important, it rhymes. As an added bonus, if you have heard the song even once, you can already sing along, no matter how drunk you are (and will likely do anything to be able to get it out of your head before you go to sleep). Stompin' Tom is my hero. And I am not alone. He was a best selling author, Governor General's Lifetime Achievement award winner, an Officer of the Order of Canada, an Honourary Goodwill Ambassador for Prince Edward Island, a multiple Juno winner, a recipient of two honourary doctorates (prompting him to name one album "Dr. Stompin' Tom... Eh? "), has had his own TV show, the city of Edmonton named a day after him, he put out dozens of albums, had a stamp and got married live on national tv. 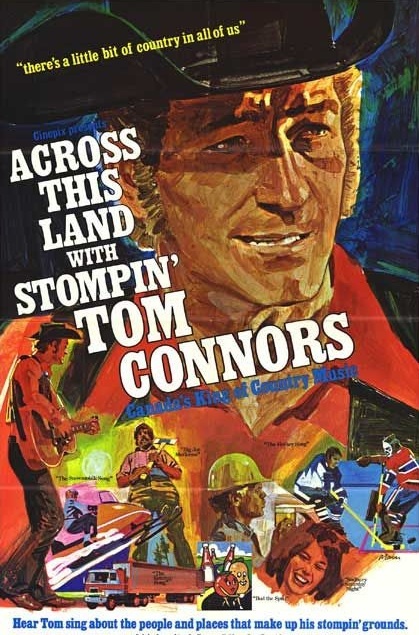 Stompin' Tom, was born in Saint John, New Brunswick to a mother who could not afford to keep him (according to the Crown). He was eventually adopted by the Aylward family of Skinner's Pond, PEI. After a few attempts, he finally succeeded in running away when he was 15, and he never really stopped. He worked his way across Canada, loving it and learning it from the bottom up. Each new experience seeped its way into his soul. He picked tobacco in Ontario ("Tillsonburg, Tillsonburg; My back still aches when I hear that word") and worked the coal boats of Nova Scotia ("My father was a Blue Nose, and his dad through and through; My mother, she's a Blue Nose, and her mother's mother too"). Finally, in what was possibly the most Canadian moment ever, the bartender of the Maple Leaf Hotel in Timmins, Ontario, offered Connors a beer to play a few songs. Those songs turned into a year-long engagement. To add even more Canuckness, he was eventually signed to Dominion Records. There followed years of cross-Canada touring, and countless songs written to "celebrate and bring attention to the folk lore, legends, events, people and places that make up Canada." Think Robert Service with a bus ticket, a guitar and a black cowboy hat. If you can name a corner of Canada, chances are Stompin' Tom wrote a song about it. Rumour has it, the first ditty he composed (at the age of 11) was Reversing Falls Darling. From that followed: She Called From Montreal; Red River Jane; Alberta Rose; Long Gone to the Yukon; Okanagan Okee; The Isle of Newfoundland; The Peterborough Postman; Roll On, Saskatchewan; the Capitals Song, which teaches the capitals of Canada to kids, and several hundred more. But it is not just geography that made Stompin' Tom Canadian. He wrote about local events with the passion of a later day William McGonagall. He covers industrial accidents, murders, strikes, the Confederation Bridge and even nearly-frozen babies. Once heard, who can forget his ode to "Canada's Miracle Child", inspired by Erika Nordby the Edmonton infant who crawled out into the snow and (almost) died. All the veins of her body were froze. While doctors had tears in their eyes. Stompin' Tom even wrote about international events, albeit from a very Canadian point of view. We'll display our blue berets around the world. Stompin' Tom Knew and loved Canada and Canadians. He once said he wanted to "sing Canada to the world", but, even more important, he sang Canada to Canadians. There is only one sort of Canuck he could not stand. We hate to see you leaving, bound for the U.S.A. But if you stay and help us, we can turn these things around. You can better serve your country by living somewhere else. And the thing about Stompin' Tom was, he walked the walk. Disgusted at the Americanization of the Canadian music industry and Canadian artists, he returned all six of his Junos and retired from touring for several years in the 1970s. Lucky for us, he eventually went back on the road. 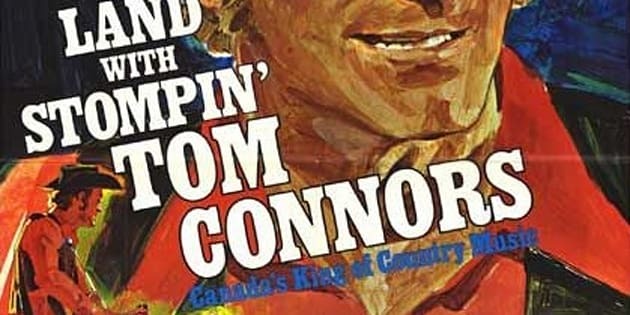 If you are broke and can not afford to travel, if you are stuck in a tiny cubicle even though you live in one of the largest countries in the world, I suggest you get a hold of a Stompin' Tom compilation. It may bring back the smell of a campfire and the roar of a hockey game. It might remind you of that boy from Newfoundland or the taste of a cold beer after a long day on the lake. It might help you travel, back home to Canada. In Stompin' Tom last letter to his fans, he wrote: : "I must now pass the torch, to all of you, to help keep the Maple Leaf flying high, and be the Patriot Canada needs now and in the future.'' Take your next holiday in Canada, for Stompin' Tom. For Canada. For yourself. For me, Stompin' Tom was just about the best travel writer there was. And the best way I can think of to honour him is to use his own approach. So, Stompin' Tom, this one is for you, from one Canada-lover to another. And every place I've been, he's been there before me. And every place he's been, he's immortalised and touched. He's the Stompin' heart of Canada, and he beats in all of us. Oh Stompin' Tom, I stand on guard for thee. Now it's your turn. I know you can do better. Pick up the torch, and get Stompin'.